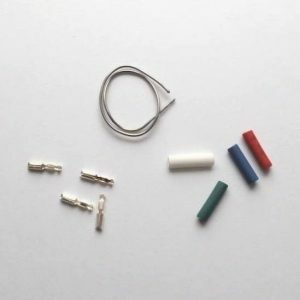 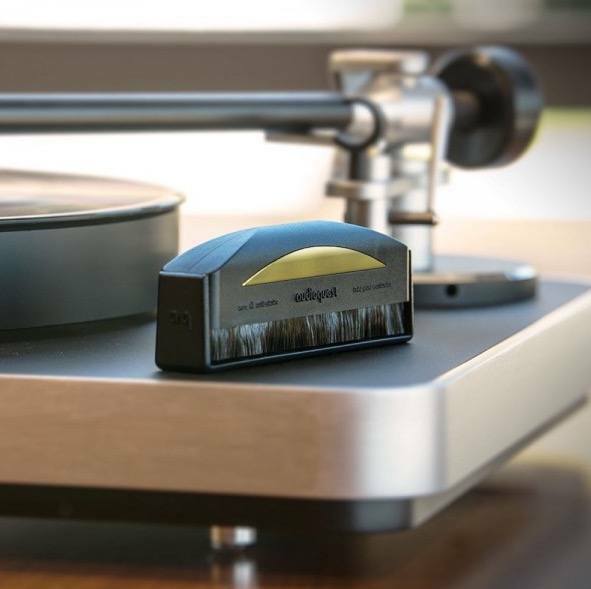 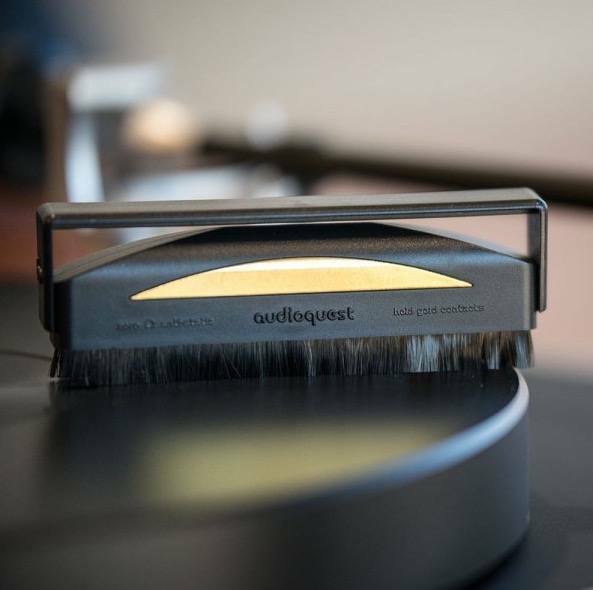 De vernieuwde Audio Quest Record Brush is op een aantal punten verbeterd. 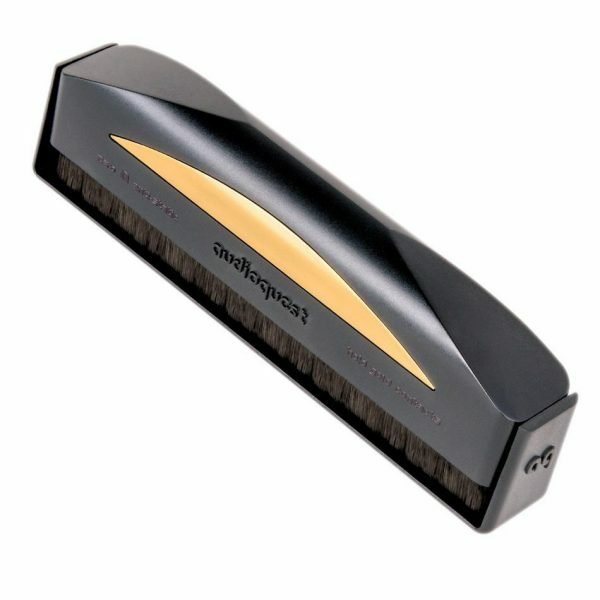 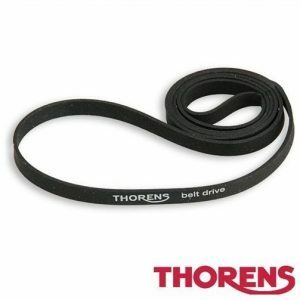 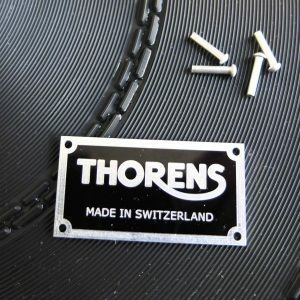 Dit is één van de beste record brushes op de markt. 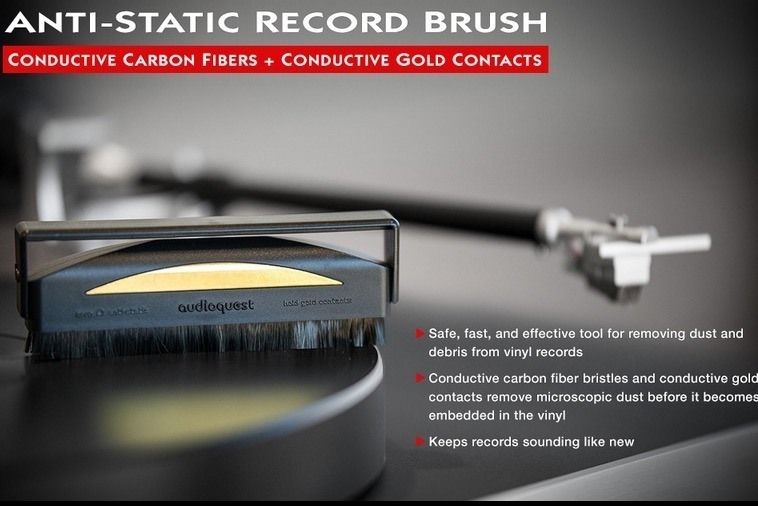 Back in 1973, I became a dedicated user of the Decca Carbon Fiber Record Brush. 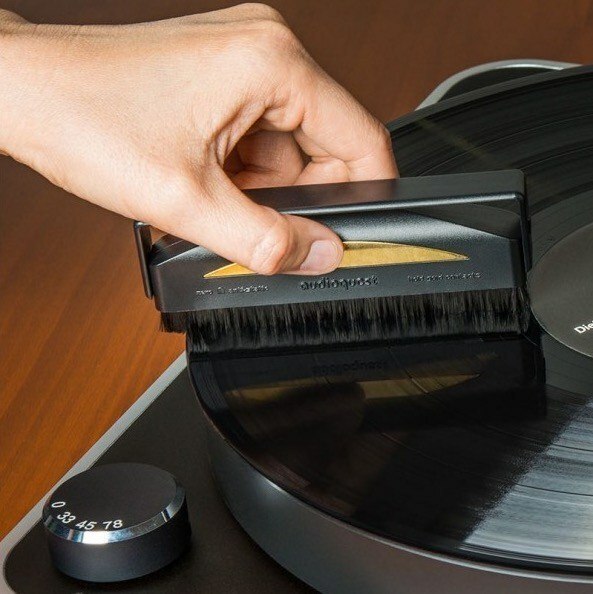 The British Decca Brush was so wonderfully more effective than any of the wet-cloth-pad cleaners that smeared dirt around on one’s records.As often happens to truly superior products, the Decca Brush was mostly ignored — the overall record-cleaning market was dominated by cleaning pads attached to wood handles — not because they worked well, but because many hi-fi stores preferred to sell a cleaner that forced customers to come back to buy “special” fluid, again and again.